It sounds crazy, but it’s true. I applied twice to take part in the BBC programme, Dragons Den, and was asked to audition on both occasions. 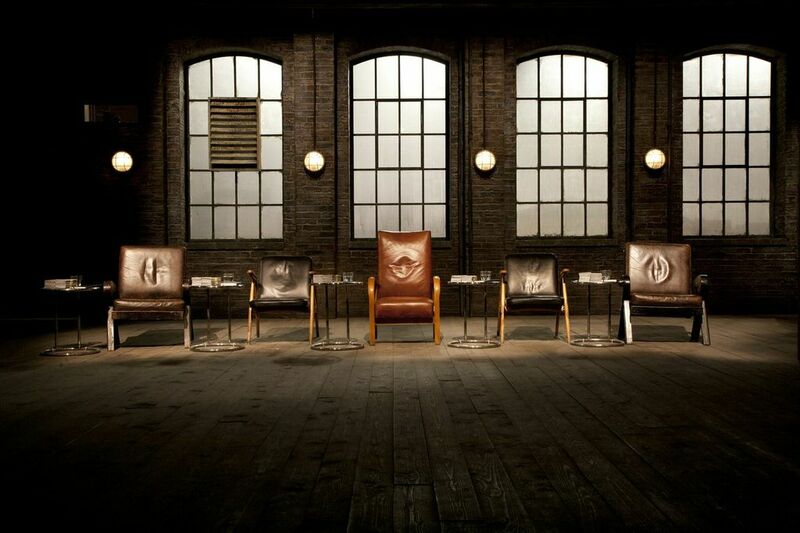 For those of you that know nothing at all about this cult TV show (UK version), entrepreneurs pitch for investment in the Den from the Dragons, five venture capitalists willing to invest their own money in exchange for equity. My love for the show, somehow compelled me to apply on-line, with the view to pitch one or two of my ideas, just to see how I would fair against the formidable (or frightening) multi-millionaire business tycoons. I was flattered when a producer called me the first time I applied and asked if I could make my way over for the audition. And during that split second of silence that followed his question I could easily have accepted. After all, I have read every book written by the 5 Dragons at the time, and it would have been my best chance to meet them all under one roof, because, let’s face it, I am a busy person too. However, it is mostly down to the fact I had read all of those books that I knew I wouldn’t have been tolerated for more than 12 seconds in that kind of forum. Read on and hopefully you will understand. People often say to me things like “I’d love to see you pitch your Tri-Creaser on the Dragons Den, just to see how you would get on”. Well that’s just great for them, me being the focus of their amusement (well, for all of 12 seconds anyway). Even my 20 year old son has perfected the Scottish version of “I’M OUT,” which was frequently muttered by Duncan Bannatyne, one of the previous Dragons on the show (I’M OUT is the Dragons catch phrase which means, GET LOST, I WON’T BE WASTING ANY MONEY ON YOU). Of course, with such interest in how I may pitch to the Dragons coming from my close family members and friends who wanted me to grace their television screens and become instantly famous, maybe you can begin to see how I was tipped over the edge enough to fill out that application form (twice.) 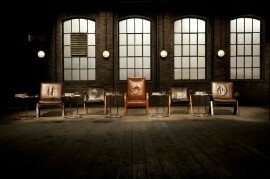 The trouble with the Dragons Den is that you can actually become famous, but not necessarily for the right reasons. You can become famous for not answering financial questions correctly, or for losing the ability to continue well rehearsed lines. This happens a lot, and Dragons and viewers alike are made to feel uneasy until the pitch gets back on track by the often perspiring entrepreneur. Seemingly invincible young genius’s who, in my mind, would definitely go on to win the noble peace prize or become the next Richard Branson or Donald Trump, are ridiculed and disgraced in front of the whole nation. Their ideas are picked to pieces and their credibility is shredded to bits. Yet sometimes (and only sometimes) I kind of see why. The Dragons don’t take kindly to anyone that bluffs their way through a pitch, masks the truth or exaggerates the valuation of their unproven company, which may have absolutely no track record. The reason why I find Dragons Den so fascinating is because I know something of what the entrepreneur or inventor is going through. I know that their life has more than likely been consumed by the excitement that their idea has brought them, and I understand how people can actually believe they can turn into a millionaire overnight. I feel the frustration when a person standing before the Dragons is made to feel like a waste of space. My heart goes out to them. When I started Tech-ni-Fold in 1999, I knew almost nothing about business. My first product was a bit like a scalding potato that had just come out of the oven and I wanted to hand it over to someone else. I thought it was too hot for me to handle and I tried very hard to offload it. My boss at the time advised me to sell my newly acquired patent to Heidelberg for a couple of thousand pounds or whatever I could get for it. He thought that it could pay for a nice family holiday (how thoughtful of him). In a way I did sit before Dragons, of a kind, when I eventually faced Heidelberg after a successful testing of my invention the very next year (2000.) A group of purchasing and product managers started to fill the room I had entered, and they dramatically got negotiations under way, thumping desks and all sorts. I was in a corner, but didn’t feel cornered, I was slightly pressurised, but didn’t succumb to it. I had the confidence of knowing that I had successfully sold 200 of my creasing devices (Tri-Creasers) that improved the method of scoring on their folding machines for the last 12 months, so I wasn’t about to hand over my patent. I had something they wanted and I knew it, so it was a matter of working it all out from there. This process took a couple of months, but it led to a purchasing contract that has lasted 14 years thus far. Before I get myself into trouble with Heidelberg, I must say that they employed the right tactics to try and work with me, this is business, and we have enjoyed a fantastic relationship ever since, I promise. Going back to the TV Dragons and the reason why my pitch wouldn’t last more than 12 seconds. Well, there is nothing more annoying to the self made millionaires than someone who comes before them, no matter how great their idea may be, who wastes their time. Within a millisecond the Dragons would know that I wouldn’t require their investment, simply because my products are already a proven success. I thought long and hard about ways in which I could pitch one of my experimental ideas, hoping I could use the Dragons money to fund it and turn it into a separate business venture, away from my more successful stuff. However, I know that from watching previous shows that people who try to do this are quickly exposed, and told that they are insulting the intelligence of the panel. I am fortunate that Dragon’s Den didn’t exist in 1999 – 2001, as I am sure I would have applied to appear on the show, and gone through with it. I could have given away 40% of my business for the help that I thought I desperately needed at the time. Thankfully my story evolved the way it did, and now we have a second successful company, CreaseStream, and I wouldn’t have had it any other way. Wir können Ihre Weiterverarbeitung in nur 10 Minuten revolutionieren. Kontaktieren Sie uns um eine unverbindliche Probestellung zu vereinbaren.